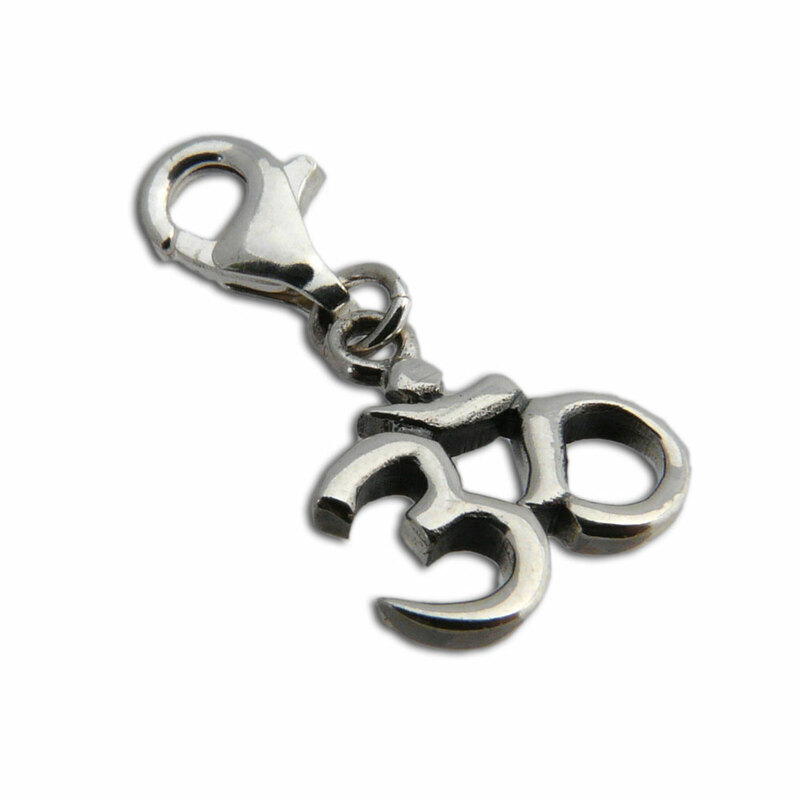 Tiny om charm with spring clasp made of sterling silver. It attaches very easily to make your own easily changeable aum necklace, bracelet or anklet. It is part of our charma collections and can be easily combined with any of our charmas good karma charms. The spring clasp makes it easy to change the charms around. Fun to wear on its own or combine with other charms. 0.9 cm + 1 cm clasp, 1 g.
Sterling silver Om earrings to wear every day. Gold om earrings. Sterling silver plated with 18k gold vermeil. Om on a tie-to-fit faux suede cord (90 cm). 18k Gold Vermeil over sterling silver.